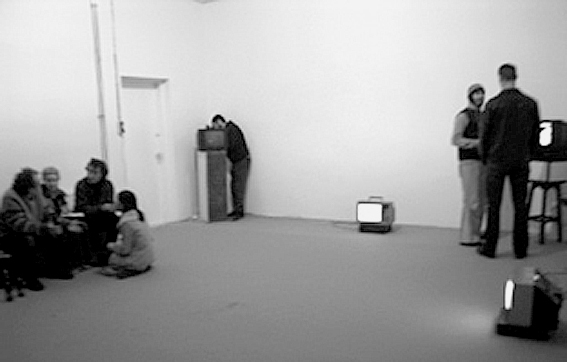 An on-the-spot video art exhibition, open to the public for one evening only. Artists are invited to bring their video art and video recorder to the gallery and create the exhibition together in a spirit of collaboration. The exhibition is intended to be a time-based interactive event, offering artists the chance to exhibit without the limitation and defining nature of a selection process.